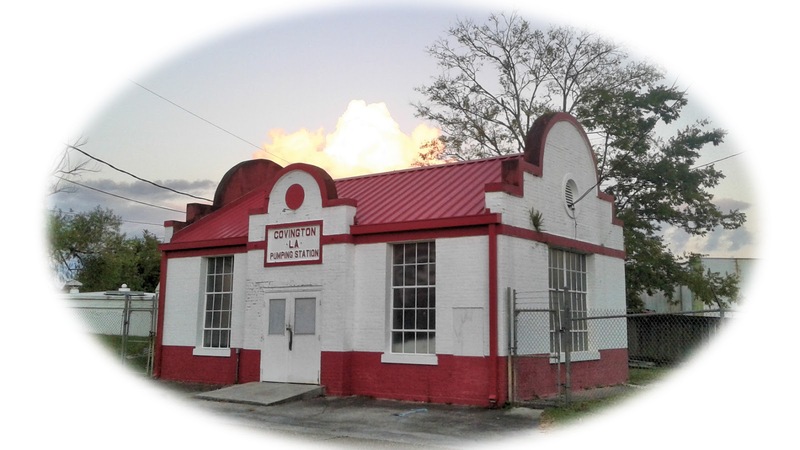 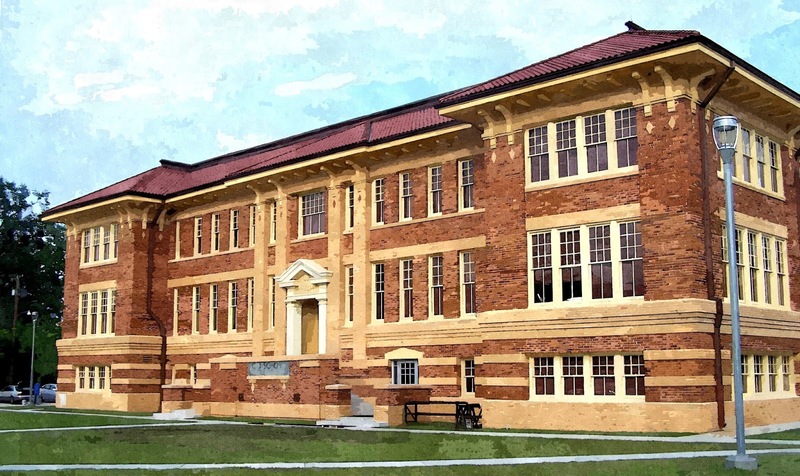 The City of Covington compiled a list of interesting buildings in the city so that visitors (or local residents) could take a walking tour that showcased the historical structures. 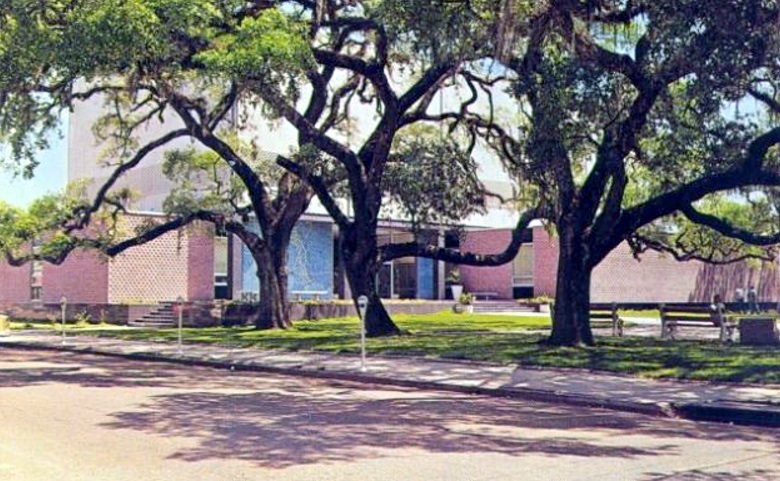 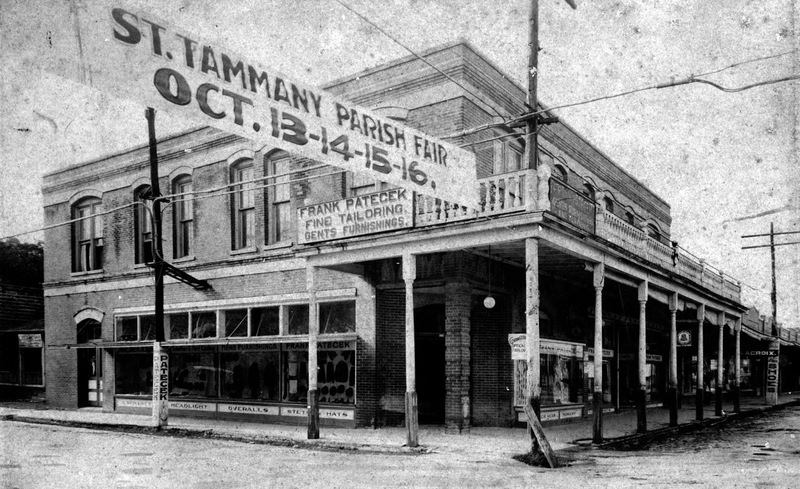 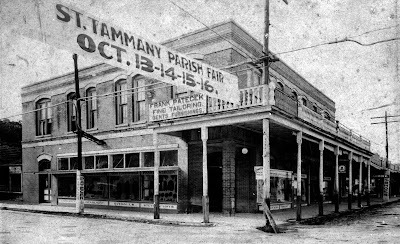 Below is the list of buildings on the "walk through history" tour promoted during the city's 175th anniversary in 1988, guided by the St. Tammany Historical Society, with information supplied by Todd Valois. Click on the images for a larger size version. 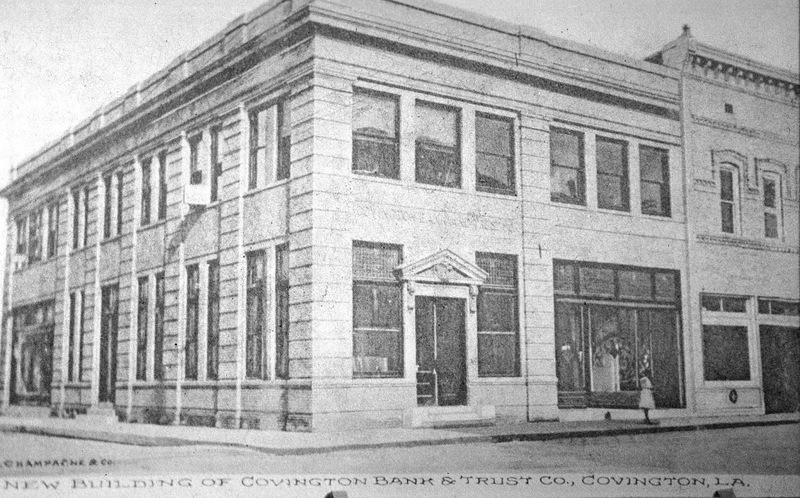 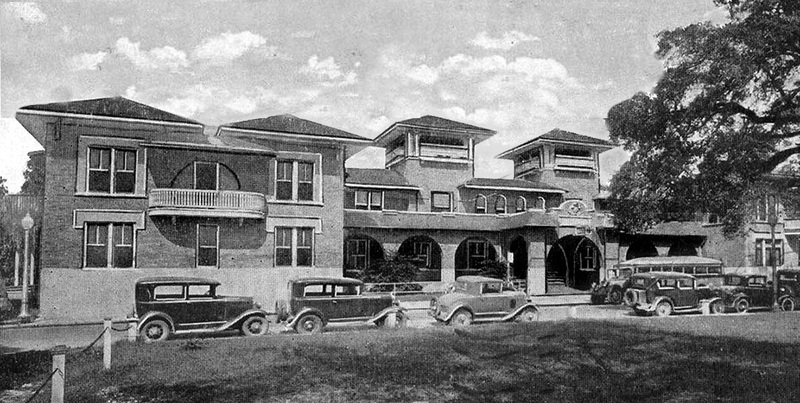 The Covington Bank & Trust Co. Building, one of the stops on the walking tour. 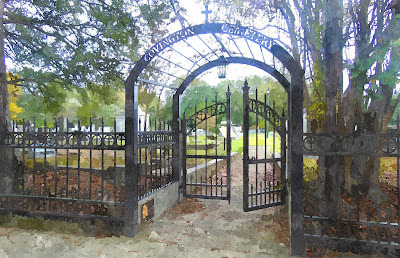 - Covington Cemetery - On December 27, 1817, the founder of Covington, John Wharton Collins, died at his home in New Orleans. 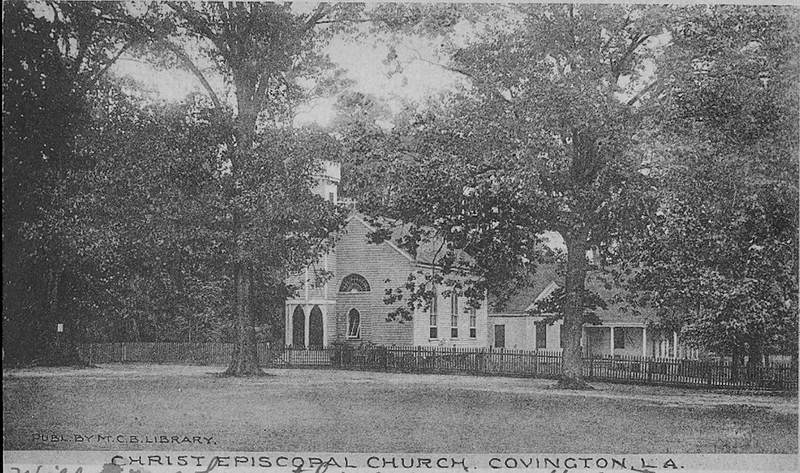 He was buried in Covington in accordance with his final request. 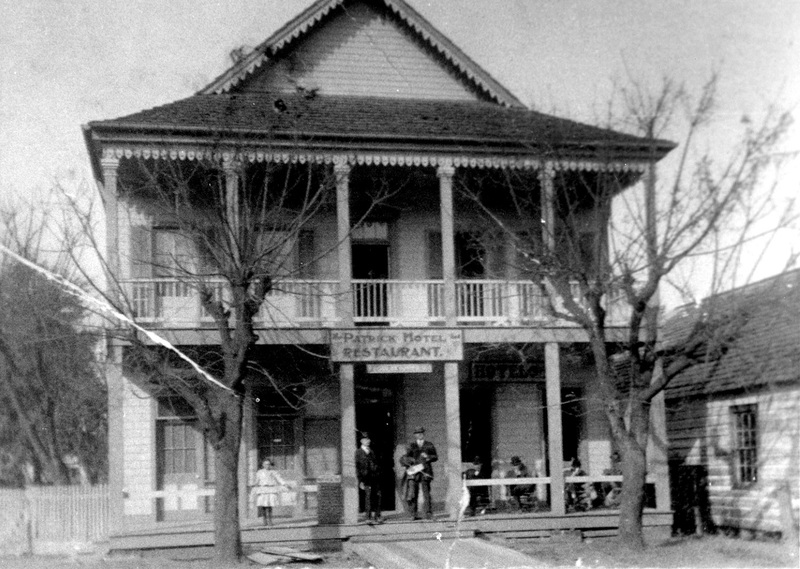 He was interred on the corner of Columbia and Kirkland. 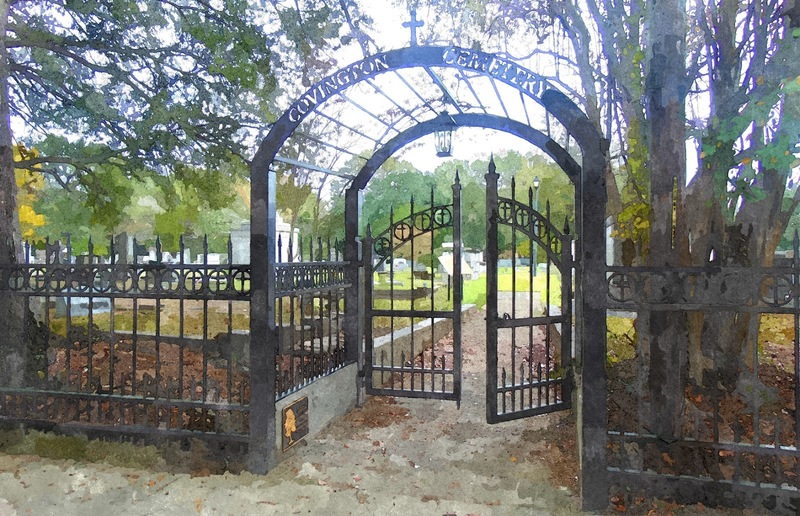 His widow sold the surrounding land to the city five years later for a cemetery. 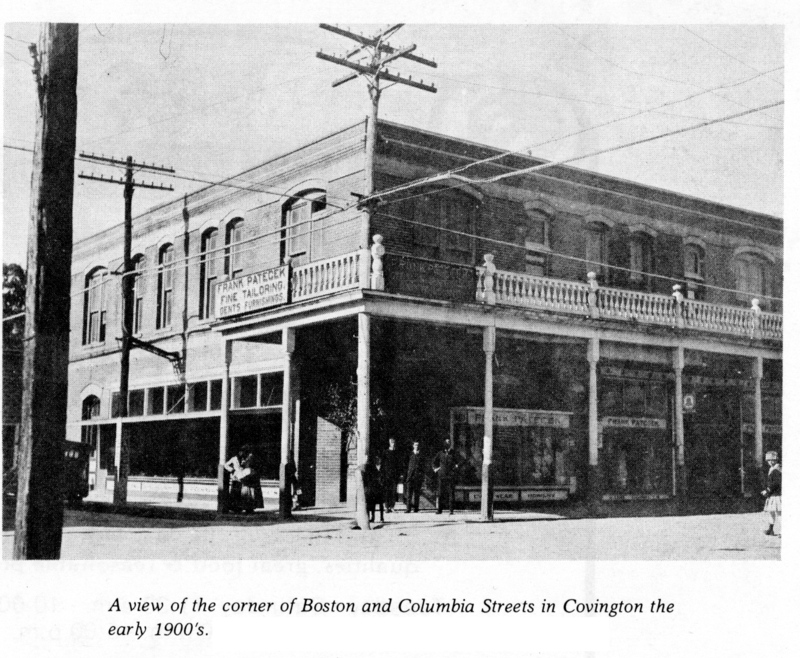 -Covington Bank & Trust Building., c. 1885, 308 N. Columbia. 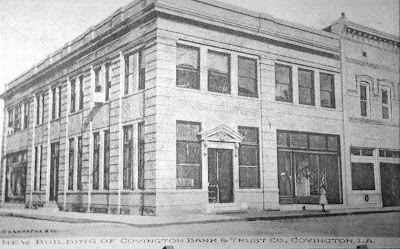 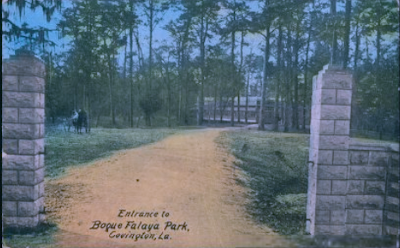 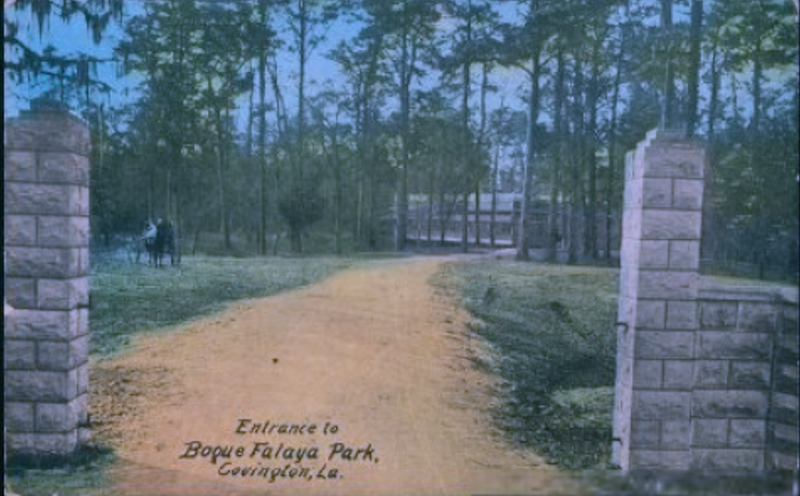 The Bank of Covington was established in these original quarters. 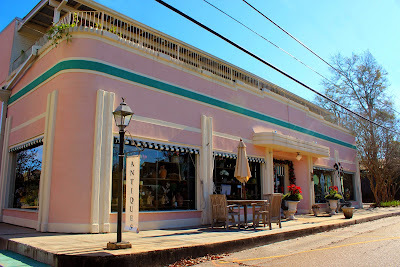 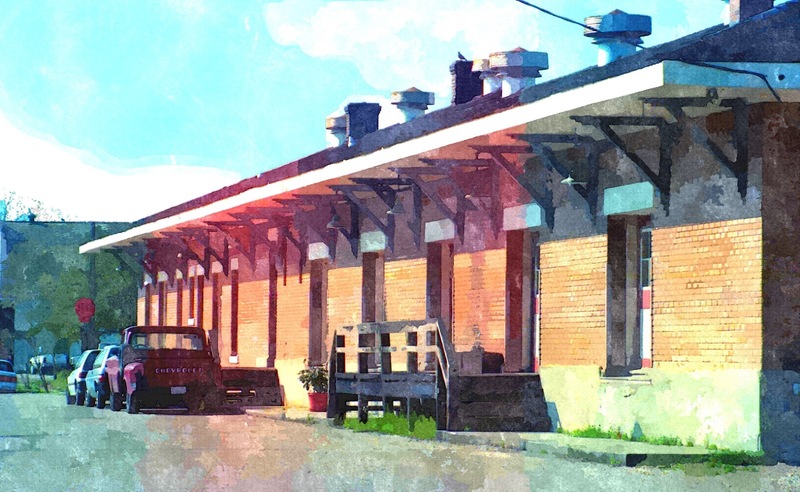 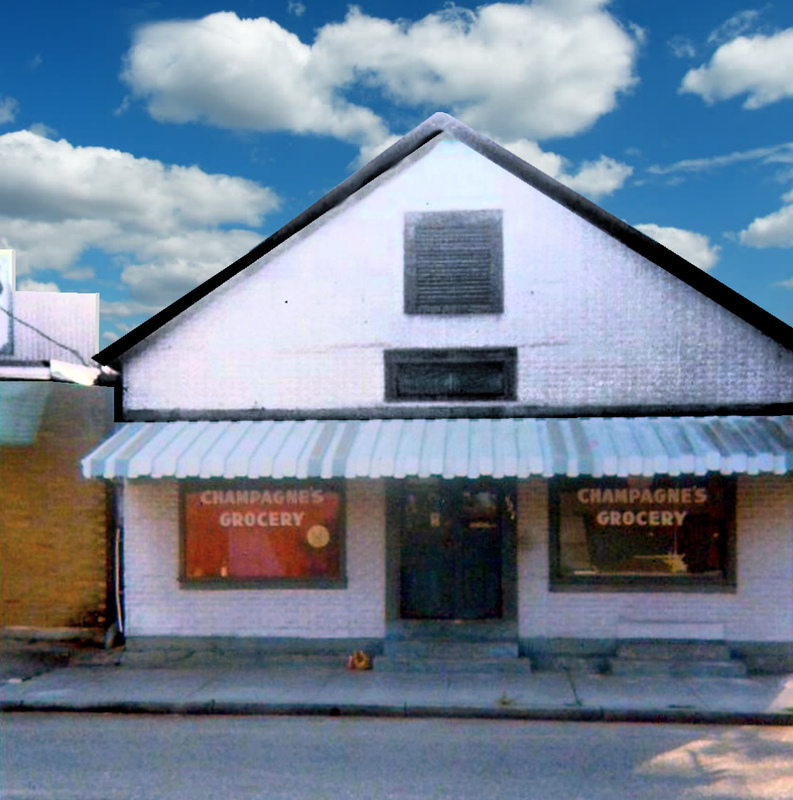 It is the oldest commercial building in Covington.